I found this poem when Kennedy was in the NICU. When I read it I felt as if the author wrote it specifically for Brian and me. A meeting was held quite far from Earth! It's time again for another birth. This Special Child will need much love. Accomplishments he may not show. From the folks he meets down there. And he'll be known as handicapped. We want his life to be content. Comes stronger faith and richer love. In caring for their gift from Heaven. Is HEAVEN'S VERY SPECIAL CHILD. Kennedy is doing great - well great according to our standards for Kennedy. She is still talking and babbling a lot. She does not really smile or babble in response to something or someone, but non the less she is happy as pigs in mud. Life however has become more complicated in the last three or four weeks. Kennedy's throwing up is in full swing and it is driving me absolutely nutty!!! We have changed formulas to a prescription formula and it has not helped one bit. It has become so bad that we are no longer able to drive in the car with her unless someone is sitting int he back seat with her suction machine. It sounds crazy, but whenever she is sat up it seems to compress her belly and make her throw up (our basic diagnosis - it is better then any diagnosis we have ever received). This then creates more problems because I don't have the luxury of having someone with me at all times to chofer Kennedy and I around. This is a huge problem for me!!!! Throwing up leads to aspiration. Aspiration leads to pneumonia. Pneumonia leads to hospitalization. Hospitalization could lead to death! I am sick and tired of Kennedy throwing up! Not to mention it takes a lot out of Kennedy and I don't think it is fair. I just can't believe no one can figure out why Kennedy constantly throws up every time she is moved, pushes to go to the bathroom, burps, or her belly becomes compressed. It is just plain unacceptable that I can't get an answer. Brian and I have decided to go elsewhere for a second opinion at Children's Hospital - Los Angeles. Hopefully it does not take us to long to get in to see a new Gastrointerologist, Pulmonologist, and Neurologist. I am looking for second opinions from the GI and Neurologist, however, I just absolutely hate Kennedy Pulmonologist so I am looking for a new one! Sooooo, it has become very apparent that flu season is in full swing. I have read and been told about many of babies/kids getting sick. I am growing more and more anxious day-by-day about keeping Kennedy as healthy as I can keep her. I feel like sickness is our enemy and we are constantly fighting a war with it. I think I might have a slight problem - maybe. Ever since I had Kennedy I worry constantly about others around me. If I go anywhere and people begin to cough, sneeze or I hear them sniffling there nose my anxiety level goes through the roof. I almost begin to panic, especially if Kennedy is with me. It is almost as if I can see the germs come out of there mouth and float in the air waiting for Kennedy and I to inhale them in - Okay not really that dramatic, but you get what I mean. I guess you can all equate it to having the new mommy syndrome. Where you bring home your new baby and are extremely paranoid about them coming into contact with anything dirty or anyone sick. You become the hand washing Nazi overnight for about the first six weeks. This is how I feel all the time - I partly blame being a NICU Mommy for so long! I guess when you step back and look at the big picture it is extremely scary. 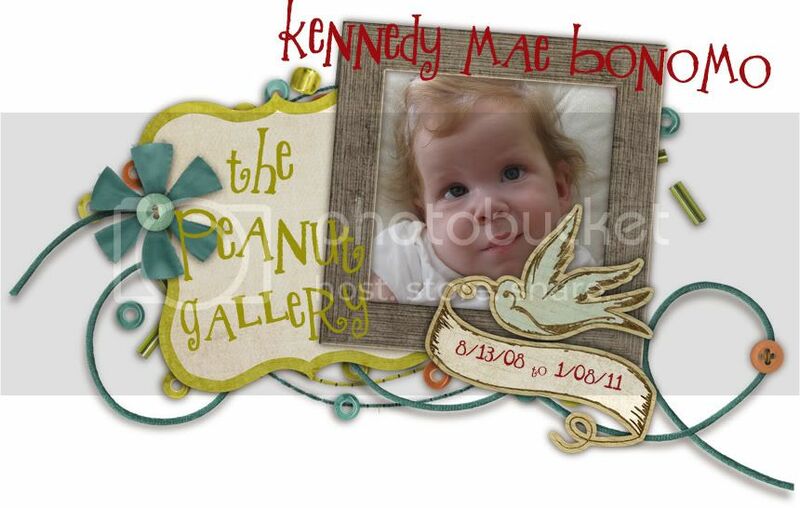 Kennedy is already compromised or fragile due to her Chronic Lung Disease and immobility. It is just scary as hell to think something as simple as the flue could possibly kill her. We go to Kennedy's doctor this month to get her first round of Synagis (RSV Vaccine). She will receive one shot every month until April.